Equine Proliferative Enteropathy (EPE) is caused by a bacteria called Lawsonia intracellularis which infects the cells of the foal’s intestines. An affected foal will typically have noticeable swelling (edema) under the skin, especially between the front legs, at the throatlatch, the scrotal area in colts and sometimes in the lower portions of the legs. The foal may also have fever, colic, diarrhea, weight loss, loss of appetite and a rough hair coat. Although this disease, which usually affects foals between two and eight months of age, was only first reported in horses in 1982, it has already spread around the world, with cases reported in North America, Europe, Africa, and Australia. Several diagnostic tests are now available. “None are 100 per cent, so you often need to do more than one to confirm the diagnosis,” says Lohmann. One test measures the level of protein in the foal’s blood (it will be abnormally low in a horse with EPE). An ultrasound of the horse’s abdomen may show the thickened wall of the intestines (caused by the bacteria living there). Manure can also be tested for the presence of the bacteria, and the animal’s blood can be tested for antibodies to the bacteria. 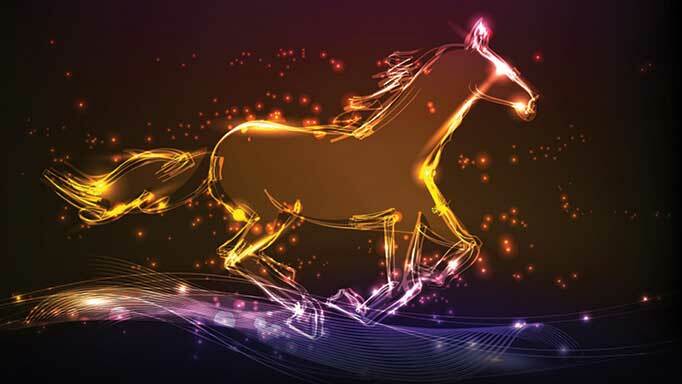 Not all horses that have antibodies, though, become sick: Lohmann says researchers in Europe have found between 20 and 30 per cent of healthy foals they examined had antibodies to the bacteria without showing clinical signs of disease. If one foal in a herd is diagnosed with EPE, should he or she be isolated from the others? Should the other foals be tested? “We don’t know exactly how this disease is transmitted from one animal to another,” says Lohmann. 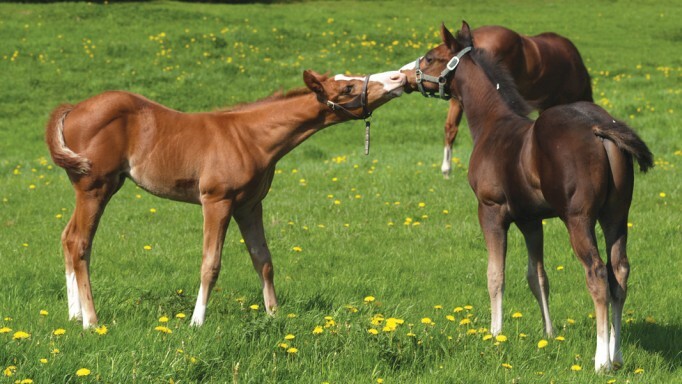 “There have been some outbreaks on farms, though, so it would certainly be wise to take a close look at other foals and watch for subtle signs of illness, and to discuss testing with your vet. I do think it is wise to isolate any foal with these symptoms, because there could be any number of diseases present that you wouldn’t want to spread.” Isolation may also prevent the foal that is weakened from catching other illnesses. EPE is rarely fatal when treated appropriately, especially if it is caught early. Lohmann notes that one researcher found there were no reports of foals who recovered spontaneously, so treatment is essential. And while the antibiotics are generally just given for three weeks, it may take several weeks longer for the foal to make a full recovery. 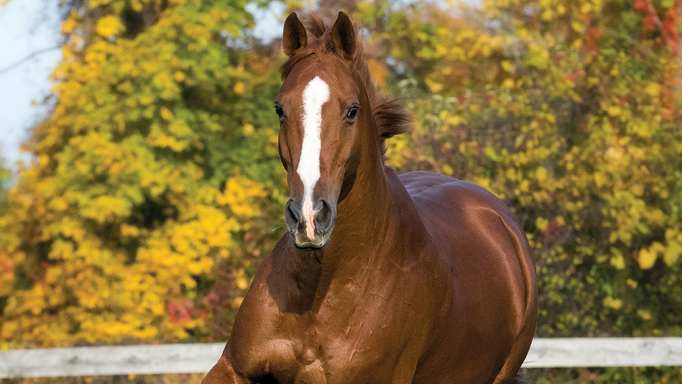 No studies have been done on long-term effects of the disease, but one study found that Thoroughbred foals who had suffered from EPE later sold, on average, for lower prices compared to their half-siblings from the same sire. Interestingly, though, their lifetime earnings as racehorses were about the same (Equine Disease Quarterly, Jan 2010). Targeted exercises for the back, belly, front and hind ends. 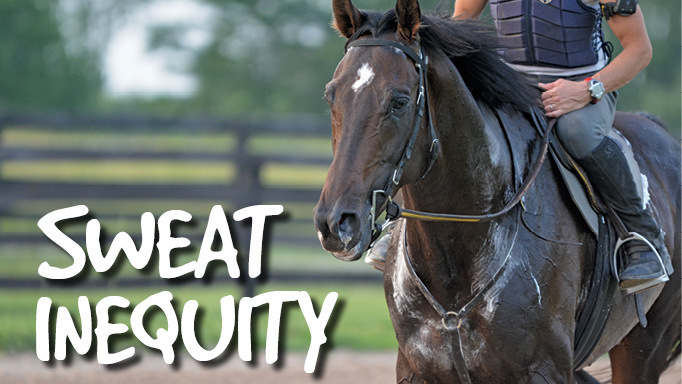 Learn about how electrolyte loss affects horses, the dangers of dehydration and how to prevent it.